Lauren is originally from Manassas, Virginia. 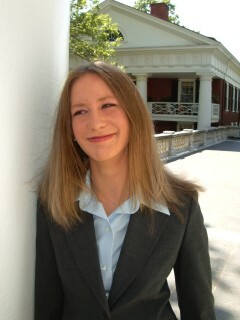 She was a member of the program from 2002 until 2006, including the year that Virginia Mock Trial won its first of two consecutive national championships. Lauren won six outstanding attorney awards as a competitor. She also served as a team captain and as program President during 2005-06. Following her graduation, Lauren attended the University of Virginia School of Law and now works as an attorney in San Francisco. View Lauren's career individual awards by clicking here.